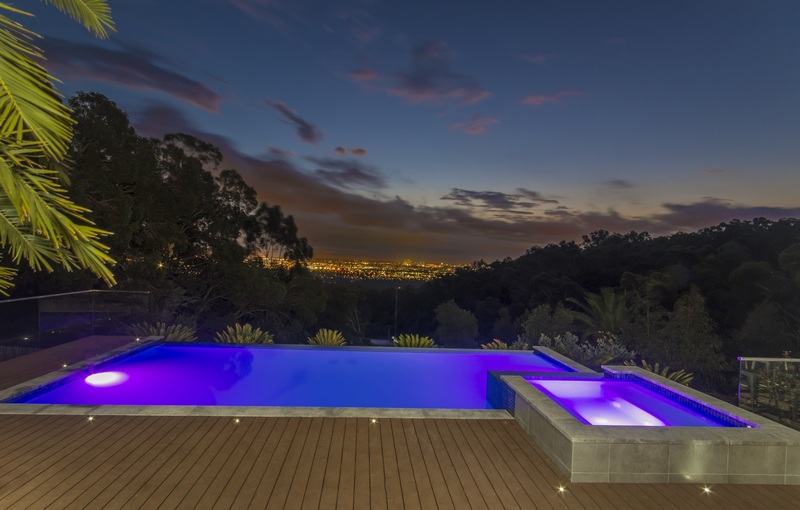 A stunning vista perfectly frames this infinity edge pool & spa combination. The pool has an elevated position, the front wall and trough has been designed to reduce the reliance on full perimeter pool fencing. 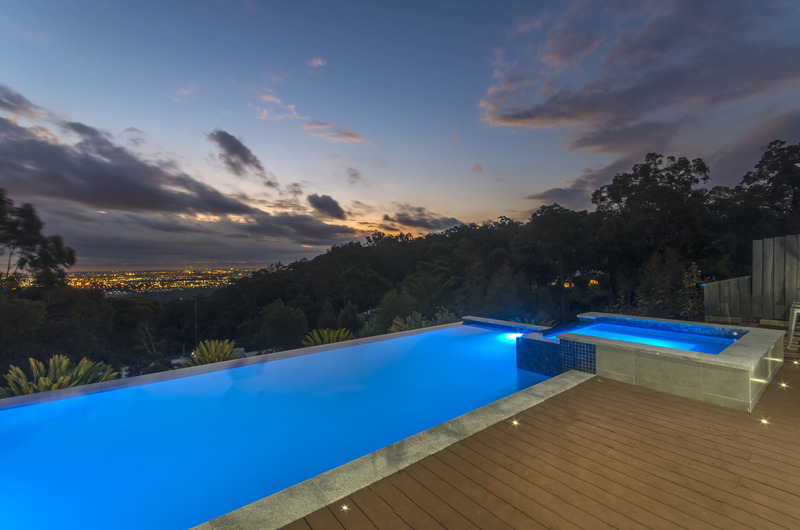 Western facing and on the Darling Scarp, the client is able to witness the picturesque sunsets over the city and beyond. 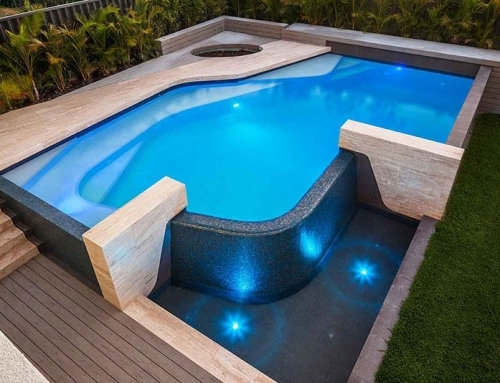 The pool has been installed with the latest technology including the Connect 10 wireless touch screen control system. 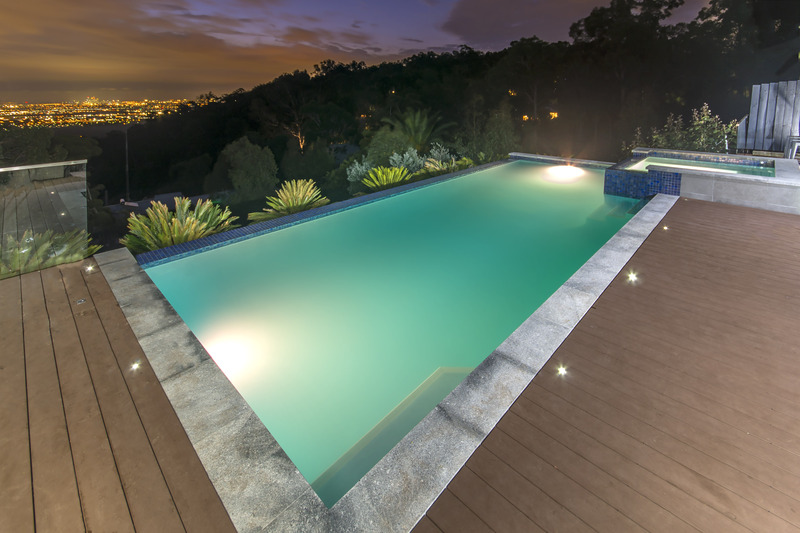 At night the pool and spa’s LED lighting adds to the ambiance of this resort style pool.